H.I.S. fulfills this calling through various service projects… from small jobs of mowing lawns to a weekend long project of roofing a home, H.I.S. seeks to share with the Lord’s people who are in need. 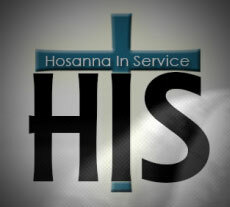 Hosanna in Service welcomes anyone interested in lending a hand or with project ideas. Please submit your information below to Brad Phillips, director of Hosanna in Service. Whatever you do, work at it with all your heart, as working for the Lord.